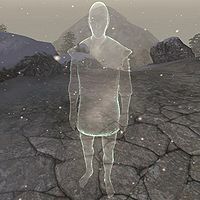 The Night Child is a ghostly Dunmer assassin that was intended to be a child of the Night Mother, wandering around aimlessly in her crypt. He never made it into the game, however. All he wears is a beggar's shirt.